Ah, there’s a lot to be said about you. A powerful critique machine. Are you ready to pounce on every thought I’ve materialised? Just remember, these words have come from the inner depths of my soul. And what if you don’t like it? Is it a case of tough cookies? To be honest, whatever you say – good or bad – I know in my heart of hearts my story will not change. The plot will remain the same. The perspective. The narrative. However. 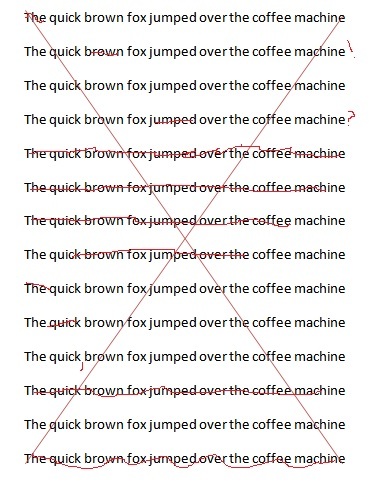 I will allow that red pen of yours to mark an extra comma, to cross out too many exclamation points. To scribble out a potential plot hole. I will attempt to swallow my pride and come to the tragic realisation that, alas……I am not the flawless writer I thought I was….! On a final note, I beg of you; whatever you do, please – be kind. Be kind my dear friend. My heart awaits in anticipation. I’m simultaneously loving and dreading the thought of contacting my beta readers for my latest novel. One of the weirdest sensations in the world! Oh boy. Haven’t we all been there! So many strange sensations when you put the work in someone else’s hands for the first time.